Nokia E1 Specs Leaked, To be Priced Under $150! A few days ago, we got the information that Nokia has plans to launch almost 6-7 phones this year and well, we have got a new leak regarding the Nokia E1. 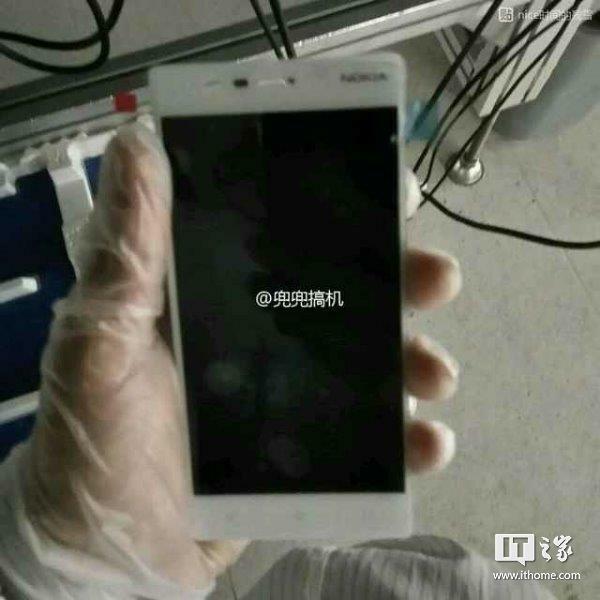 Previously, we heard about Nokia D1C, Nokia C1, Nokia Edge etc. The Nokia E1 specs that have leaked today reveal that it will be an Entry-Level Phone from the company and aimed towards the budget price segment. Last time when the E1 was leaked, we had the hands on images of the phone. Those images revealed that the phone won’t have any rounded edges. But this time, the specifications are out. Let’s have a look at the leaked specs of the E1. First of all, you need to keep in mind that this is an entry-level phone from Nokia. With that said, the E1 is going to sport a 5.2 or 5.3-inch screen with a 720p resolution. This means the device will be priced under $150 but still have the HD display. Coming to the processor, the Quad-Core Snapdragon 425 is going to power the phone that will be clocked at 1.4GHz along with the Adreno 308GPU. Memory wise, there is 2GB of RAM and 16GB internal storage that will be expandable via SD card. I hope Nokia will give a separate SD card slot and not the hybrid slot. The Rear camera is going to be 13MP and a 5MP selfie camera will be there on the front.